Becca, Megan & Rita. Ellie Kemper as Becca, Melissa McCarthy as Megan & Wendi McLendon-Covey as Rita in Bridesmaids. 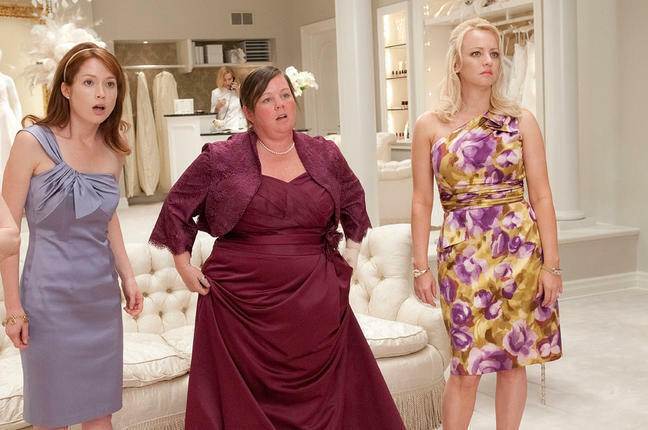 Wallpaper and background images in the Bridesmaids club tagged: bridesmaids movie stills 2011 ellie kemper wendi mclendon-covey melissa mccarthy becca rita megan. This Bridesmaids photo might contain dinner dress, dinner gown, formal, evening gown, bridesmaid, maid of honor, and gown.